My husband and I honeymooned in Mexico on Isla Mujeres, a small island. We stayed at an all-inclusive resort, but our wedding guests generously sprang for us to eat and drink all over the island and tool around on golf carts. 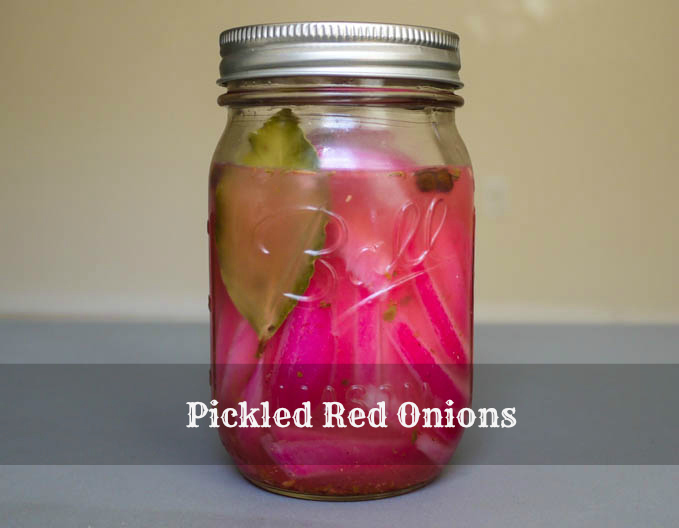 One of the things I enjoyed particularly were the pickled red onions. 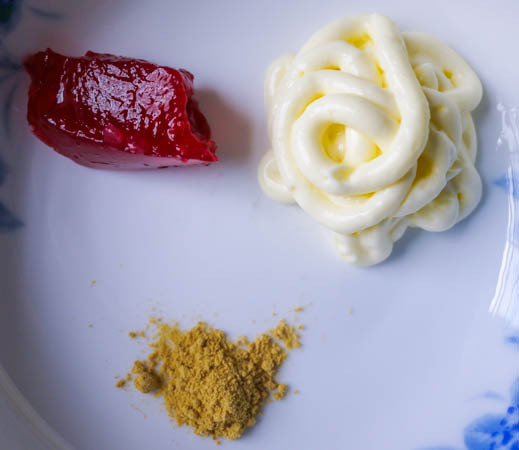 Even though these are made with strong, white vinegar, the flavor is really balanced because of the fruit juices. Put this on errrrrythang (click each phrase for pictures) – burgers, steaks, greens, deviled eggs, bagels with cream cheese, potato salad, BBQ Chicken Brats with Spicy Mustard. This keeps for a while, so I suggest making it in a pint-size mason jar, so you can grab some from the fridge whenever you’d like. 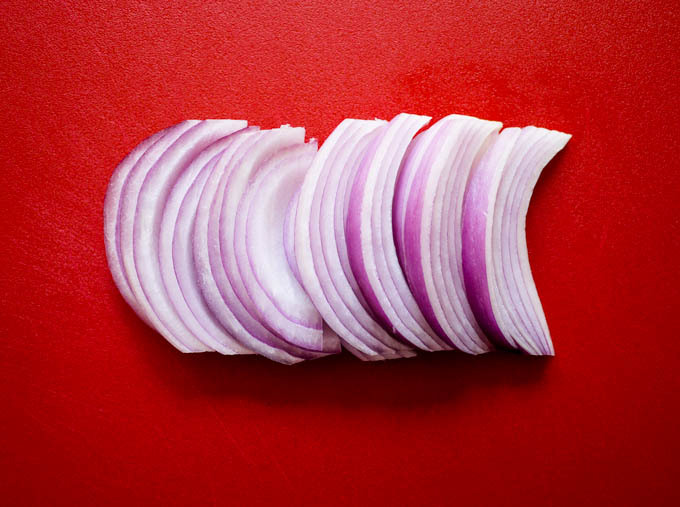 Peel and slice your red onion. The thinner your slices, the more quickly they will absorb the vinegar mix. 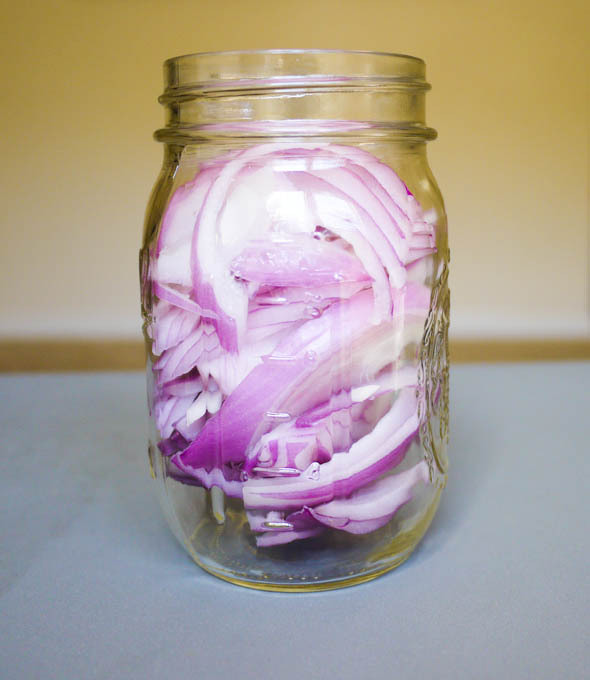 Put your red onion slices into a pint-size mason jar or container with lid. 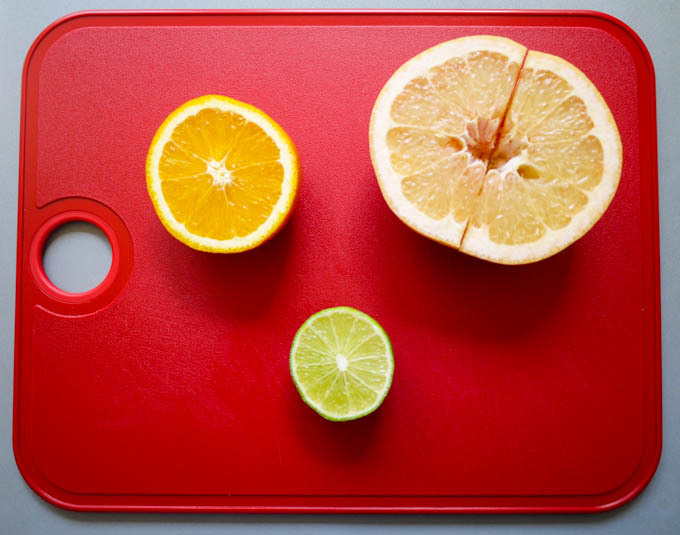 Juice your grapefruit, orange, and lime. Pour the juices into the jar with the red onion. 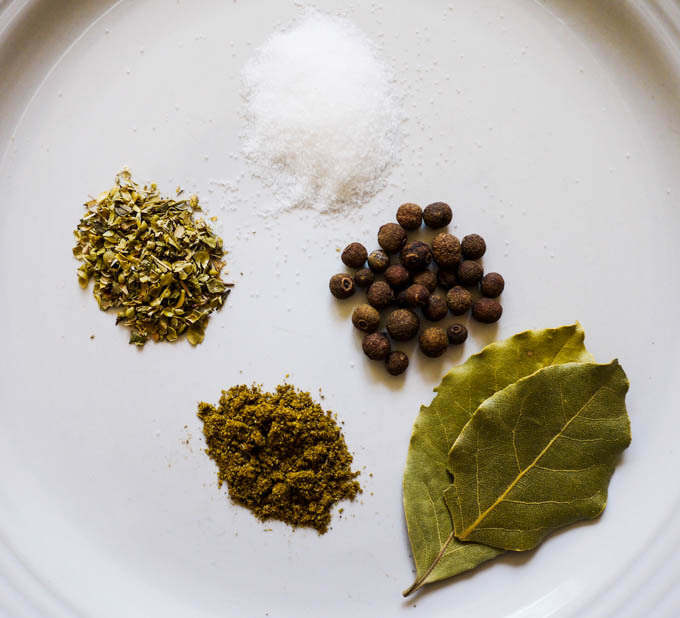 Assemble your spices (salt, allspice, oregano, and cumin). 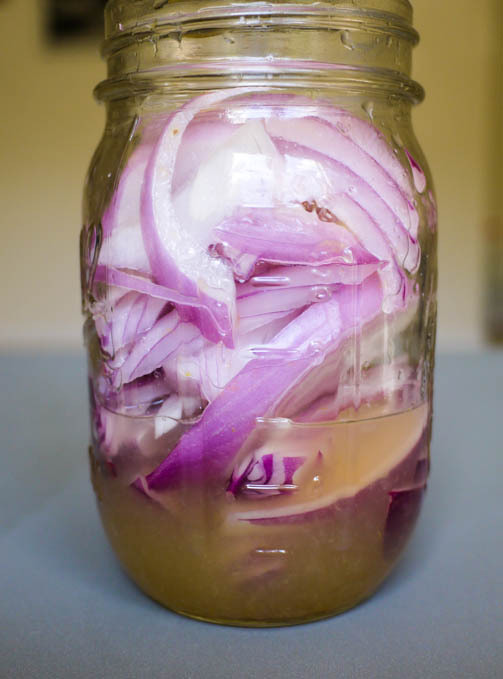 Add your spices to the red onion mixture with 1/2 cup of vinegar. 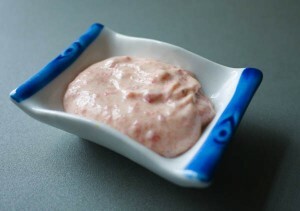 Refrigerate for at least 4 hours, shaking the mixture at least once an hour. 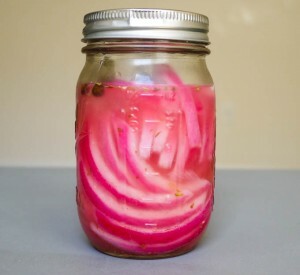 How to pickle red onions with fruit juices, vinegar and spices. Peel and slice your red onion. 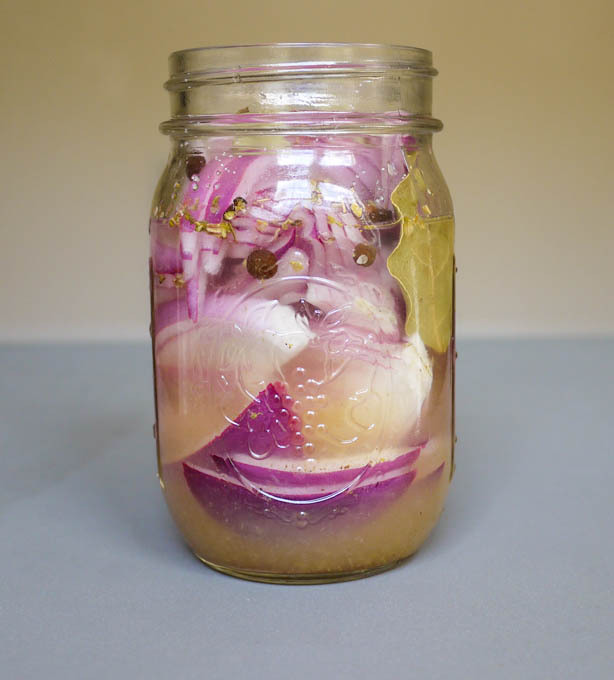 Add your spices to the red onion mixture with ½ cup of vinegar.